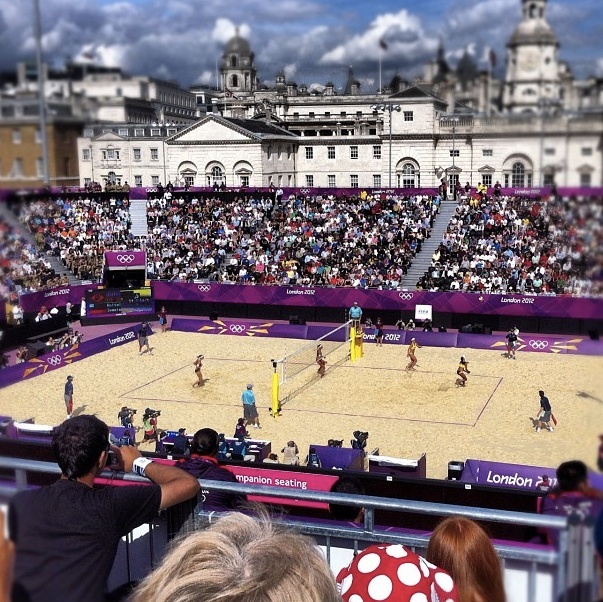 With an estimated 4.9 billion people tuning into London these two weeks, Olympic organizers were clearly aware of the weight of the public eye and that many fans would be commentating on the events that unfolded. Knowing this, organizers set out guidelines for the athletes Twitter profiles, noting that many athletes have millions of followers and any misstep by an athlete could result in bad publicity for the games and for them and their sponsors. The guidelines were fairly straightforward: No Olympic logos or designs in pictures, no promotion of brands, no vulgar or obscene content and that any athlete who went against these and other guidelines could result in immediate withdrawal. With two athletes already removed from the games due to race sensitive tweets, the Olympic Organizers clearly meant business. The same goes for fans. One fan tweeted a hateful comment towards Tom Daley, a team GB athlete, which resulted in a wide backlash against the fan and ultimately his arrest with a menacing communication charge. But most of the social media banter has been very positive, with many fans and athletes just cheering on their countries. 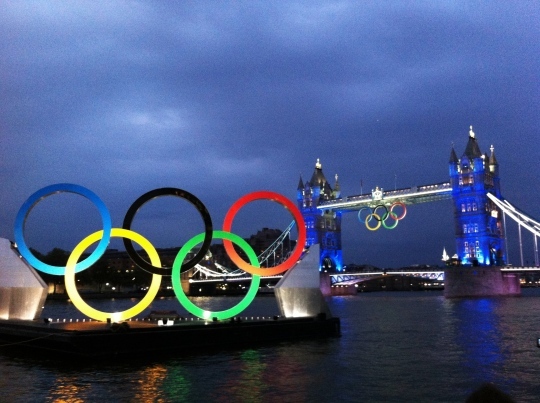 In a survey of 500 social media users, 93% said they had watched the Olympics before and 84% could correctly identify London as the host city for the games. Not surprisingly 93% knew who Michael Phelps was, with one of his sponsors receiving mutual publicity, 77% knew that Phelps was a spokesperson for sponsor Subway. Most surprising answer? 87% of Americans said that they were more likely to watch the Olympics than the United States Presedential Debate. Wow! Athletes, officials, coaches and fans alike have all taken to different forms of social media to express their competitive spirits and to cheer on their favourite sports. Instagram has been used by fans and athletes alike, with fans snapping pictures from the event stands or even thousands of miles away at their very own Olympic watching parties. Athletes have really gotten into the spirit, giving fans a never-before-seen look at what’s happening behind the scenes; either from their living quarters or their training rounds, athletes are letting the fans see another side of the Olympics. With major broadcasters partnering with sites like Twitter and Facebook this truly is the most social Olympics in history. There may have been a few bad eggs in the social media sphere but with moderation from fellow fans, athletes and their supporters, those have been quickly erased. With the Olympics still going, it will be incredibly interesting to see what the final verdict on these “social games” are but at this point, the feedback has been overwhelmingly positive. 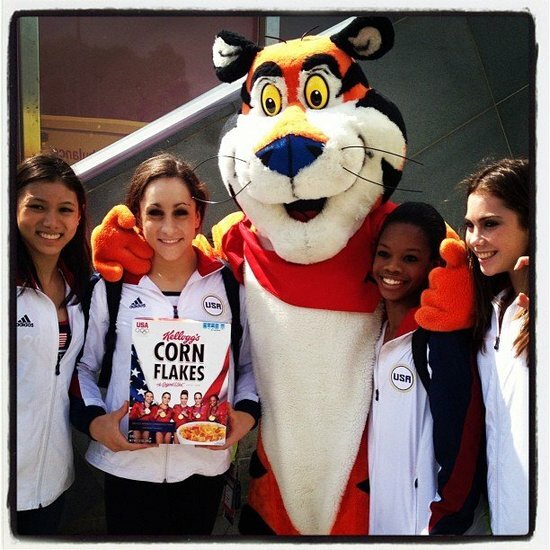 The Olympic spirit has officially gone viral. Reblogged this on Pinstripe Pumps.